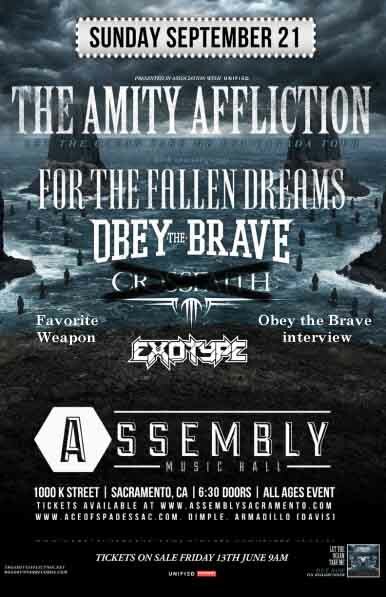 The Amity Affliction, Obey The Brave, Favorite Weapon, Exotype. The Amity Affliction headline the Let The Ocean Take Me Tour North American tour. For The Fallen Dreams, Obey The Brave, Favorite Weapon, Exotype and Crossfaith join the band in support.